Where else can you find nearly 3, 000 SF, 4 (large) bedrooms + loft + flex room, pool and a privacy fenced yard under $300K? No where in Cape Coral! In fact, no where in all of Lee County! Better yet, you have nearly 3, 000 SF with a pool/lanai AND still have a great yard. 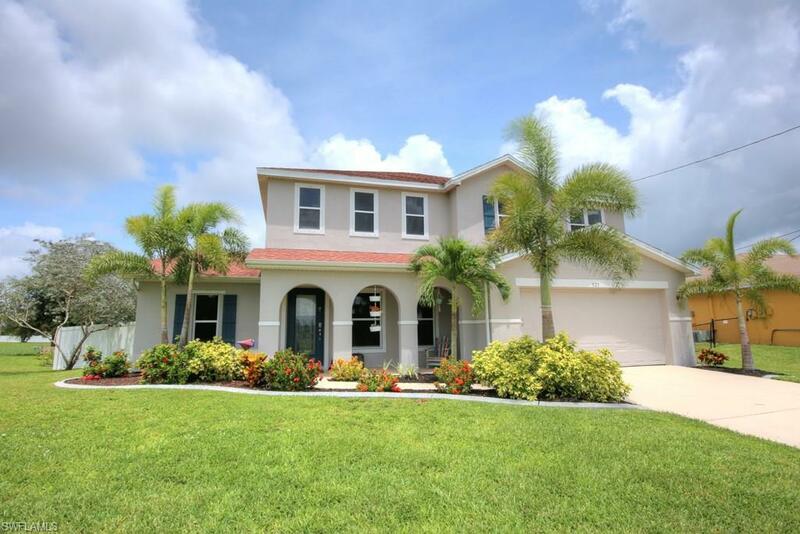 Most homes in Cape Coral offer either a pool/lanai OR a usable yard - not both - especially with a large home! The brand new kitchen with granite counters, new cabinets and white subway tiles is sure to please! Upon entry, you're greeted by a terrific flex room that could serve as a den, additional living space, dining room - you name it! The backside of the home offers a large great room overlooking the lanai/yard. You'll also find the master suite, spacious laundry and a half bath on the 1st floor. Upstairs, your kids/guests will love the loft area, giving them their own living space, that is situated off of 3 very large guest bedrooms and the guest bath which has also gone through a face lift with a newly tiled shower. This home has been well maintained and offers additional features like upgraded landscaping, new pool equipment, updated exterior paint, and a new water system. NOT in current utility expansion!